I am lucky enough to really know a postmistress. Eileen is the elder sister of one of my childhood friends, Rhonda, (who died tragically young quite a few years ago). 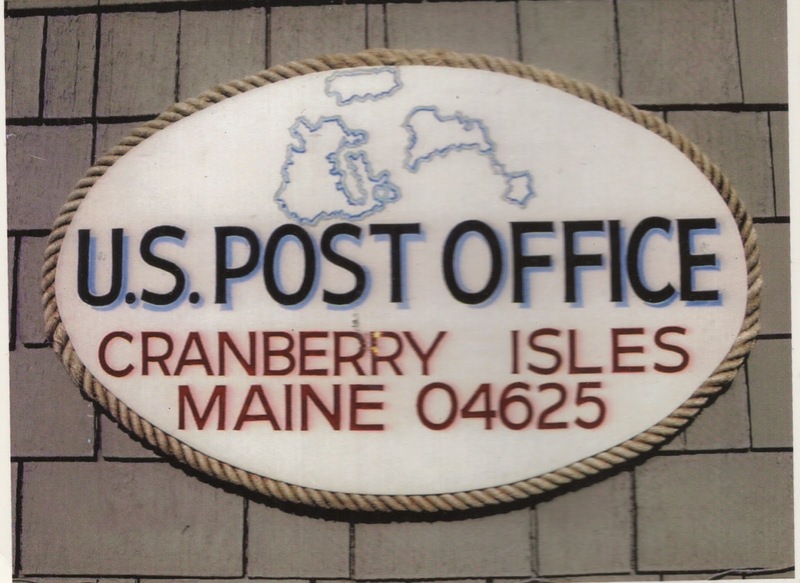 Eileen is also one of the Cranberry Island Postmistresses. As you can imagine, Eileen was pivotal last summer when I coordinated a mail art exhibition on the island and this postcard from Eileen was sent as a thank you to me for bringing business to the post office (which teeters on the edge of viability in the age of cost-cutting). 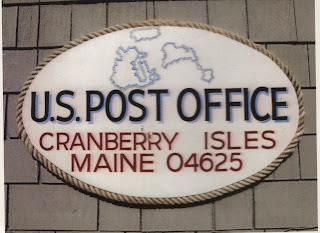 Eileen writes that she also is a big fan of the Island Mail art catalogue and the new art form which international and island mailartists brought to the Cranberry. Great to hear form you Eileen! Great job with the catalog, Rebecca, they should have a copy of it at the post office!